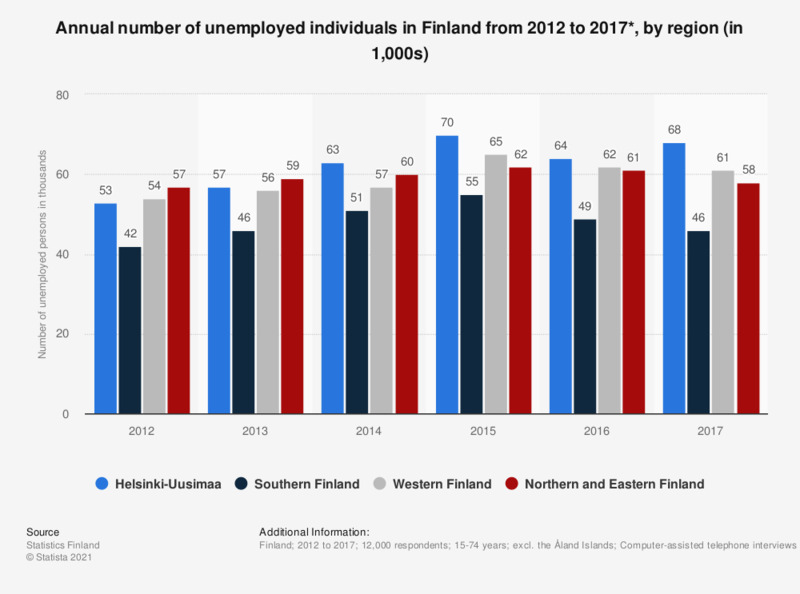 This statistic shows the number of unemployed people in Finland from 2012 to 2017, by region. The number of unemployed persons increased up to 2015 but decreased in most regions slightly thereafter. In 2017, there were 68,000 unemployed persons in the Helsinki-Uusimaa region.